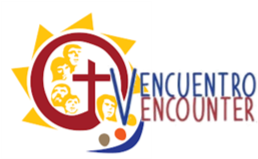 The main goal of the V Encuentro is to discern ways in which the Church in the United States can better respond to the growing Youth Presence and to strengthen the ways in which ALL CATHOLICS respond to the call to the New Evangelization as missionary disciples serving the entire Church. This will be the culmination of our Encounter sessions, and the information shared will become an important part of our parish planning process. Please come and bring others you have encountered who are interested in how we can engage our teens and young adults in the life of St. Paul’s! Our Parish Sessions were held during the month of March 2017. We shared our experiences of church and learned how we can become disciples going out to share the good news of our faith and our parish to our families, and community. 1.Experienced being a Church that goes forth. 2.Inspired a process of reflection and faith sharing among members of the small group. 3.Contemplated the calling to being missionary disciples. 4.Prepared to engage in evangelizing mission activity in our families and community.